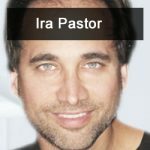 Fernando Aires guest hosts this edition of the Holistic Survival Show, and talks with Ira Pastor, CEO of Bioquark. He’s been in the pharmaceutical industry for 30+ years in a wide variety of positions. Before joining Bioquark, Ira served as VP of Business Development for the Phytomedics Inc., bringing in $40 million of private equity and over $50 million of licensing deals. Ira and Fernando discuss Bioquark’s current investigation into making our bodies regenerate like other organisms, in order to avoid all the trouble that can be created by introducing foreign bodies into our ecosystem. [9:59] What triggers in the body cause regeneration to start? [20:36] How is it possible to bring people back from the dead?